When Undertow Publications began to publish a yearly collection of best weird fiction I welcomed this project with my arms opened wide. My previous experiences with the publisher and the approached niche of its “Year’s Best Weird Fiction” made this new yearly anthology very attractive from my point of view. Now, it can be argued that a year’s best of anything might not be the best for everyone, but I always try to remember that such selections are subjective to the editor’s tastes and they’re meant to be received with an opened mind. As it is meant for the genre within such projects lie. Because, after all, there is only one true category that matters in the end, that of good fiction, the one that helps us expand our horizons despite the genre in which we would like to catalogue it. Although “Year’s Best Weird Fiction” has only two volumes released so far it is a project I would certainly like to see filling my bookshelves for many years to come. True, I liked some stories more than others, from my personal perspective I questioned a couple of selections, but like I’ve already said I accept completely the editor’s tastes and choices. And it is exactly here where this year’s best anthology scored good points, each year Michael Kelly, the series editor, works on this collection together with a different guest editor, the first was Laird Barron, the second Kathe Koja, this year Simon Strantzas and the next Helen Marshall. Such an approach makes me expect the unexpected, each volume offers something different from the others. There are other wonderful year’s best collections out there and although I love what their editors did with the entire series I feel that, more or less, a pattern surfaces over time. 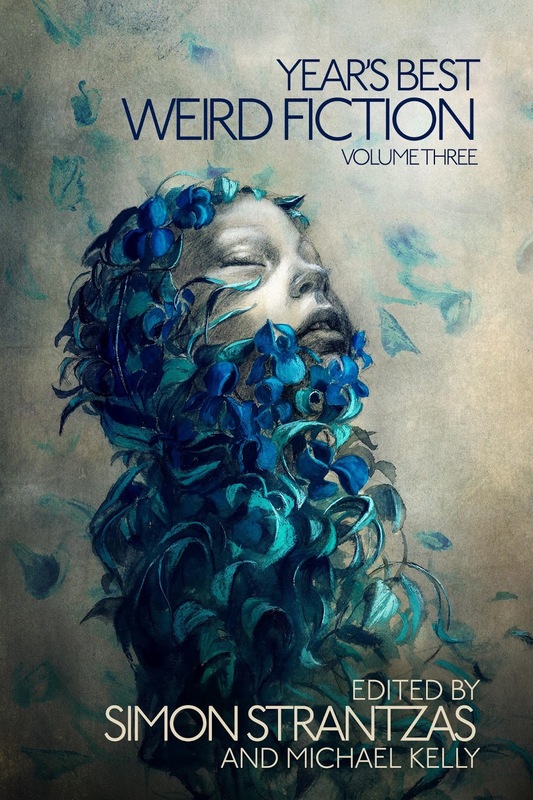 Nothing wrong with it, but by working with a different editor at each volume “Year’s Best Weird Fiction” acquires a unique flavor. As it does through the cover artworks. There is something different about each one of them and I’ve become to anticipate the release of the next cover with excitement. This year’s selection didn’t disappoint at all. I was familiar with Beatriz Martin Vidal’s art for some time now and seeing her work on the cover of “Year’s Best Weird Fiction, Volume 3” brought me great joy. It shouldn’t be such a rare thing, Beatriz Martin Vidal is a very talented artist and looking over her website and Deviantart page you’ll see why. The vivid colors, the light and shadow, her imagination are marvelous traits and because of them and not only I am mesmerized by her art pieces. As is the case with this cover, a beautiful artwork that’s a feast for the eyes and that is, I admit, my favorite of the three covers of “Year’s Best Weird Fiction” so far.